Estonia is a lovely gem in the region of Baltic and offers the best opportunity to see a great country that is a portion of the European Union. With Tallinn as the capital ,this is a beautiful country to visit and a lovely medieval locale in this part of the world in Europe. With many fascinating beaches dotting many parts of the country , the beautiful coastline offers ideal tour pleasures to all those who come here. The Baltics are not famous for its warm weather and this is something that all tourists to Estonia should be aware of. The summers are short here and the winters are harsh here. Around 18% of land in Estonia and 30% of the sea waters are marked as protected areas. These are inclusive of landscape and nature reserves, five national parks and some smaller regions. The national parks in Estonia have a diversity of flora and fauna and also a nature farm accommodation and a manor house. 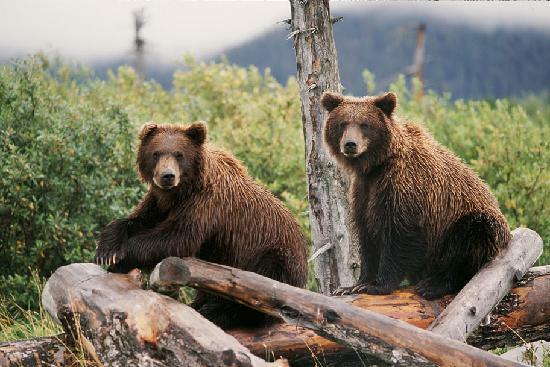 There are facilities for camping here and if you are lucky enough you would be able to see eagles, wolves and bears. All the parks here are easily accessible and are for free. Lahemaa is the first park in Estonia and is today the largest too. This gives a great view of the entire cultural and natural settings here and has been so named after the water bodies that are found here. Lahemaa means the Land of Bays and is situated on the northern coast of Estonia. With the beautiful sandy seashores, pine forests, splendid bogs and cliffs, the entire region of Estonia provides the best of architectural monuments too. The historical and architectural structures here are interesting and attract tourists from across the world. There are many stories and legends attached to the boulders here and tourists find this an immensely interesting land ensconced in the lovely surroundings of Estonia. The sea and the land and also the four peninsulas form the main sights here. This is one area that has totally not been affected by any kind of human activity and as the entire region forms a close region Lahemaa surely is one of the most important conservation areas in the forest regions in this part of the world. There are many mammals which live here and which provide a lot of beautiful attractions like brown bears, moose, foxes and lynxes. Beavers are also greatly fascinating in the beavers trail here and as the entire picturesque ambience attracts the tourists , the simple sights of the commonest birds like Ural Owl, Common Crane, Black Woodpecker, etc enthrall the visitor. These birds come to feed in the autumn season and the tours to Lahemaa thus enchant the tourist entirely. Today Lahemaa is one of the most fascinating conservations zones in Europe where you would find many kinds of limestone cliffs and also historical regions. As the surroundings have the best of snowdrop anemones blooms and the most interesting fishing villages, the simple fishermen’s culture here also enchant the tourists. The Kasmu village is one such village which is filled with the spirit of unity and culture. The pine forests here and also the historical complexes in and around, make tours here really worthy. With the best sights of the most beautiful evergreen forests, the drive to this beautiful verdant paradise is just an hour’s drive from the capital Tallin. Add to this the sights of the four manor complexes, Vihula, Sagadi, Palmse the simple pleasures of a beautiful land is really a must see in this part of the world. As tourists come to the beautiful Lahemaa region, the idyllic ambience totally enchant the visitors. There is a visitor centre is situated in Palmse and in Sagadi you get to see the forest museum and there are activities in a nature school in Oandu. There is a resort in the forest region of Vosu and this is really an excellent fare for all those who want to enjoy the beach experiences. Lahemaa is also popular for the immensely interesting nature trails. So if you want to have the most enchanting and the most adventurous experiences then do visit the Lahemaa national park in Estonia and go back with a great memory of a beautiful land.